Cade Hotel is located in the South Bohemian town of Pisek, near the Stone Bridge. 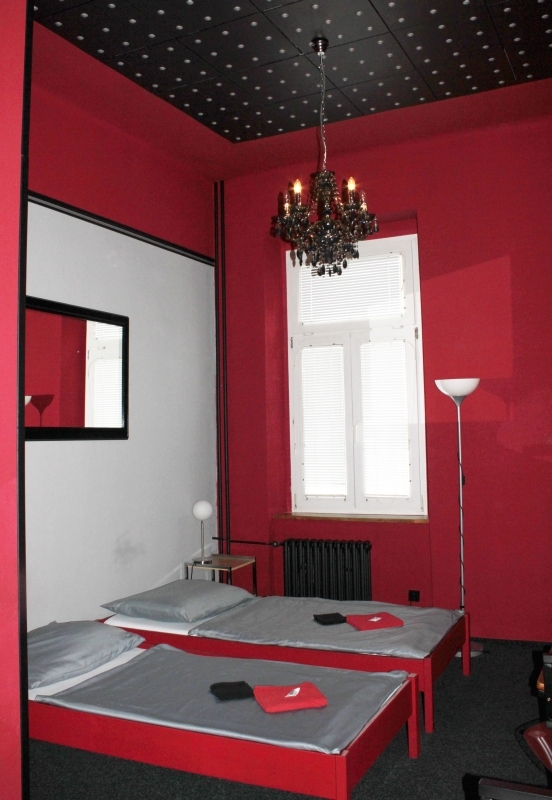 Accommodation at the Hotel Cade is possible in one-to four-bed rooms. In the building is a music bar, carambola, darts. For greater comfort during your stay with us and help other services. Breakfast is served in the hotel, lunch and dinner can be enjoyed at a nearby restaurant. The main advantage of the hotel is easy access to the city center, a high cultural and extensive sports facilities. Our guests appreciate our nice, comfortable rooms at a reasonable price, and therefore come back to us. For athletes is close to several sports Cade Hotel near the building, you will find: swimming pool, gym or football field with artificial turf. Accommodation in a category “Standard” includes spacious single, double, triple rooms or quadruple rooms (room for four) with private bathroom facilities (shower, toilet, basic body care), refrigerator and TV. 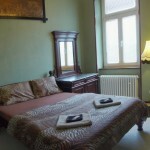 In a category Deluxe we offer a double room with a double bed, in comparison to the category “Standart”. 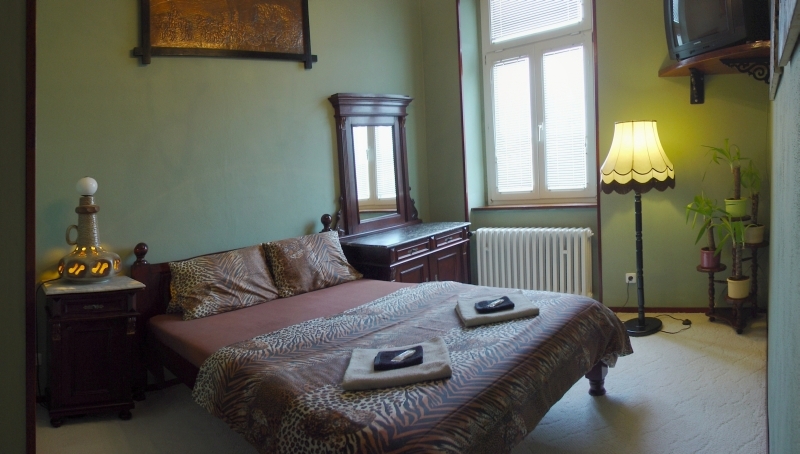 Double rooms with double beds, which in comparison with the category “Deluxe” offers also wallpapers, parquet flooring and are equipped with an electric fireplace, CD player and hairdryer. The price also includes coffee service and mineral water. Hotel Cade is situated near the historic city center of Písek, a colorful city located in South Bohemia on the Otava river, the city of Premysl Otakar II., Adolf Heyduk or Frana Sramek. Our hotel guests have many opportunities of cultural, sport, leisure and gastronomic entertainment at a walking distance. While staying at the hotel Cade, our guests in their free time like to explore history of the city (e.g. to visit the oldest stone bridge in Europe – 300 m or Prácheňské museum), culture (e.g. to visit a unique park in the city center, one of the two Písek theaters or the cinema), gastronomy and entertainment (restaurants and bars), to visit sports (football field with artificial turf – in 100 m distance, swimming pool, fitness center, tennis courts, athletic stadium with beach volleyball – in 150 m distance, ice ring), or shopping (shops and shopping centers). The Cade hotel offers a comfortable seating and entertainment in the hotel music bar, billiard, darts or table football. Parking is provided in the hotel for 100 CZK per day. We offer to the guests also other services, such us information services, safe deposit box, bicycle and ski equipment storage, services of dance instructor (dance floor available), tennis coach (tennis courts in 300 m distance), limousine rental, city guides in 5 world languages, transport from the train / bus station for free, taxi service for the hotel guests to the airport in Prague for € 70. For activities during your free time, we recommend a visit historic center of the Pisek , where you can see the oldest stone bridge in Europe, visit Prácheňská Museum or just sit on Gothic Parkánech. Pisek offers numerous cultural opportunities. You can visit one of two theaters in town, cinema, restaurants and bars. Visit the town of Pisek and merge so alongside Ottokar II., Adolf Heyduka or Fráni Šrámka. We accommodate you in Pisek Hotel Cadillac.